When you’re locked out of car, house, or business, you might need 24HR locksmith to come to your aid. In general, you can never know when you gonna be locked out of your home, in addition, you can never expect or be ready for any lockout incident. In fact, you can lockout yourself when you least expected. However, this is not a big issue. 24HR locksmith provide all types of emergency locksmith services. An emergency locksmith who works 24 hour, will come to your home late at night in order to unlock the main door of your home. 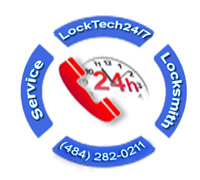 There are so many reasons why you may need 24 hour mobile locksmith service. For instance, you’ve arrived home late at night after a long day in your office. You insert the key in the lock trying to unlock the deadbolt, but the key snapped and broke to 2 pieces. You have no spare key, as well as your relative around don’t have a spare key to your home. In cases such as this one, 24 hour locksmith definitely can help. Our professional 24HR locksmiths can help you when you’re in emergency locksmith needs. We were helping our customers in many occasions of lockout incidents for automotive, residential, and commercial clients. Regarding automotive emergency locksmith, we make car keys on site, ignition lock repair, and broken key removal. Among our wide emergency locksmith services, we also provide, 24-7 lock repair service for home and business owners, as well as broken keys extraction services. Our 24HR locksmith are ready for your call whenever you need us most. We do not charge extra for coming out late at night, nor on weekend or high holidays. At the same time, you hire one of the best locksmith company in town, and that what’s matter.